I have heard that we are only allowed to have servers do so much side work while they are checked in as servers. That if we need them to do more, say roll silverware for an hour, that they have to be paid full minimum wage. Any truth? In tip credit states, it is important to be sure that employees who do both non-tipped and tipped jobs are paid appropriately for each. For example, when I was starting out, I would often spend the morning in the prep kitchen and then bus tables for service at lunch. I have no idea whether I was properly compensated, but the correct way to handle that would have been to pay me the non-tipped minimum wage for prep and the tipped minimum wage for bussing, applying the tip credit provided that after tips my wages were minimum wage or higher. Where it gets tricky is with tipped employees who have significant non-tipped responsibilities as part of their job. The law is pretty clear that if such responsibilities are incidental to the job, the tip credit applies. 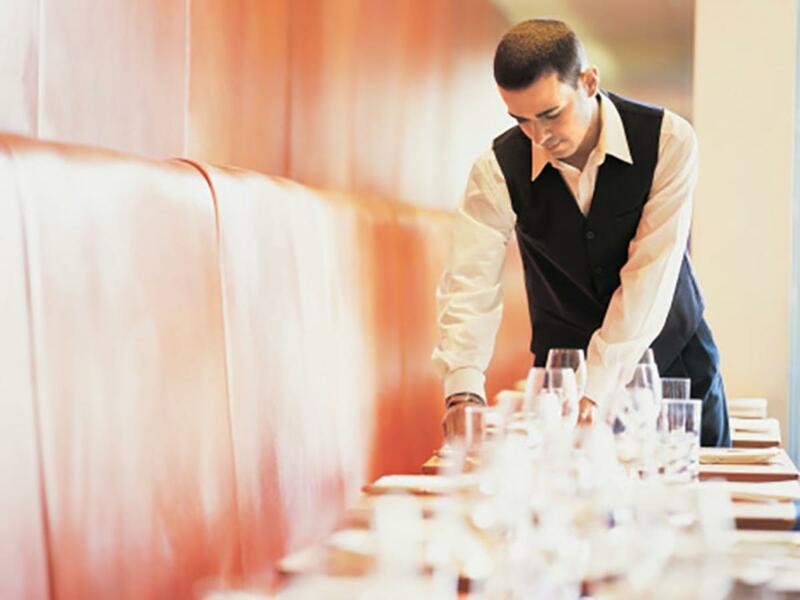 For example, if servers are expected to roll silverware, set tables, polish glasses, and so on, those duties are generally associated with the job. If, by contrast, a server spends the majority of a shift doing setup or other non-tipped tasks like reservations, they should be paid the non-tipped minimum wage for those hours. In the last few years there have been some legal challenges as to what constitutes incidental side work. The rule of thumb from the courts has been 20%. It is a good strategy to keep that work dispersed throughout the day. For example, if a dinner server does side work from 4:00-5:30PM and serves tables from 5:30-8:00, cut early because it’s a slow night, she could easily and justifiably object to receiving the tipped minimum wage. Conversely, if servers know that during their 4PM-midnight shift, any downtime is spent doing side work, the case for the tip credit is clearer. The U.S. Department of Labor’s Field Operations Handbook is the go-to source at the federal level—state or local regulations may be stricter. As always, consult with your attorney and restaurant association.